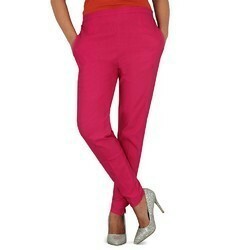 Owing to the vast acquaintance, our firm is competent to present GirlsLycra Pants. Our customers can avail this product as per their requirements. The soft to feel material is antimicrobial in nature. The snag resistance elevates the quality and odour resistance enhances the confidence. We are amongst the reputed organizations, highly engaged in offering an optimum quality range of Lycra Track Pants. Our rapidly growing organization is busy in offering a premium quality Cotton Stretch Palazzo Pant that is available in numerous sizes.